Ezee Life™ brand transport chairs, also known as companion chairs, are the most basic of all the wheelchair categories. These are small lightweight wheelchairs designed for a caregiver or companion to transport a person from one place to another easily and conveniently. They are not intended for independent mobility and the user will have to be accompanied with a caregiver or helper to push the chair. Their intended use is for assisted mobility on short trips where the chair will have to be folded and packed away in a car or van. Depending on the model, they are made durable and strong using solid wheels, swing-away footrests, easy to clean nylon upholstery, padded armrests, fold-down backrest and can be folded side to side. The footrests of the chair can be removed so that it can be kept safe and secure in vehicles or store away in the home. 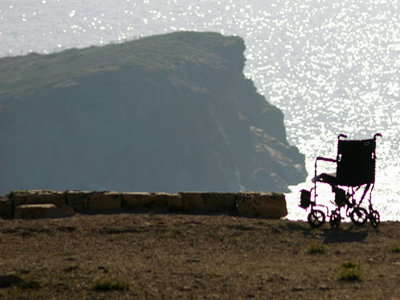 Independent mobility with the chair is not possible because it has casters in place of normal or large wheels that are usually found on wheelchairs.